When we think about the Labrador retriever lifespan there are of course many factors to consider including the breeding and early health of the dog. But, a generally accepted lifespan for a typical Labrador is 10 - 12 years. Of course there are many exceptions to that rule of thumb with many Labs living to a ripe old age and others, unfortunately, passing away at a younger age. So, disregarding accidents and other unfortunate events, let's look at some of the factors that can effect the expected lifespan of your Labrador retriever. Probably the biggest factor of all the quality of a dogs breeding will massively impact its life expectancy. A dog that is well bred from fit, healthy and active parents will have the best possible start in life. It is hugely important that, if buying a puppy, you only go to a reputable breeder who can provide the correct documentation on the dog and its parents. And that you are able to see the parents. Seeing the parents of a puppy is absolutely essential and will go along way towards giving you the peace of mind that comes with knowing your dog is going to lead a long and full life. As a point of interest - if you want to see how old your dog is in human years why not visit our Dog Years Calculator. As well as the breeding of a puppy there are other things to look out for. Two very easy and simple things to do is to examine the dogs eyes and ears. In a healthy dog the eyes will be clear and bright. Runny eyes on the other hand are a sign that the dog will have health problems. The ears too should be clean but if the dog has bald patches than, again, this is a sign of health issues. There are other signs to look out for but for more information and advice visit our page on choosing your Labrador puppy. People have differing views on how often a dog should be vaccinated but there is no doubt vaccination does prevent many deadly illnesses. You must vaccinate your dog against the major illnesses including those awful diseases Canine Distemper and Parvo (Canine Parvovirus). 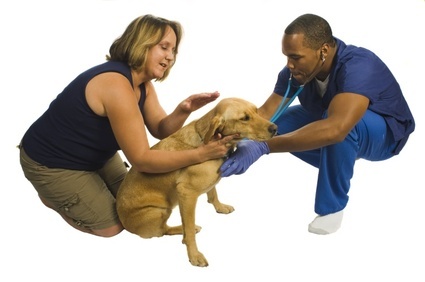 Seek the advice of a good vet on when you should vaccinate your dog to help prolong its life. For further information see our page all aboutdog vaccinations. Of course a major factor in the expected Labrador retriever lifespan is the lifestyle it leads. Or, in other words, the lifestyle its owner allows him to lead! Plenty of exercise and the right nutrition will ensure your dog has the best chance there is of leading a long life. 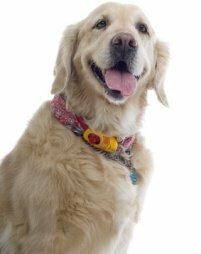 Don't over indulge your dog by feeding him treats all the time and, as Labradors have a tendency to run to fat, make sure he gets exercised every day. For more information on what to feed your dog visit our Labrador retriever nutrition page. As we have seen there are lots of factors that may effect the lifespan of your dog but by looking after his health and making sure he eats right and exercises there is no reason why your Lab won't be around for many, many years!